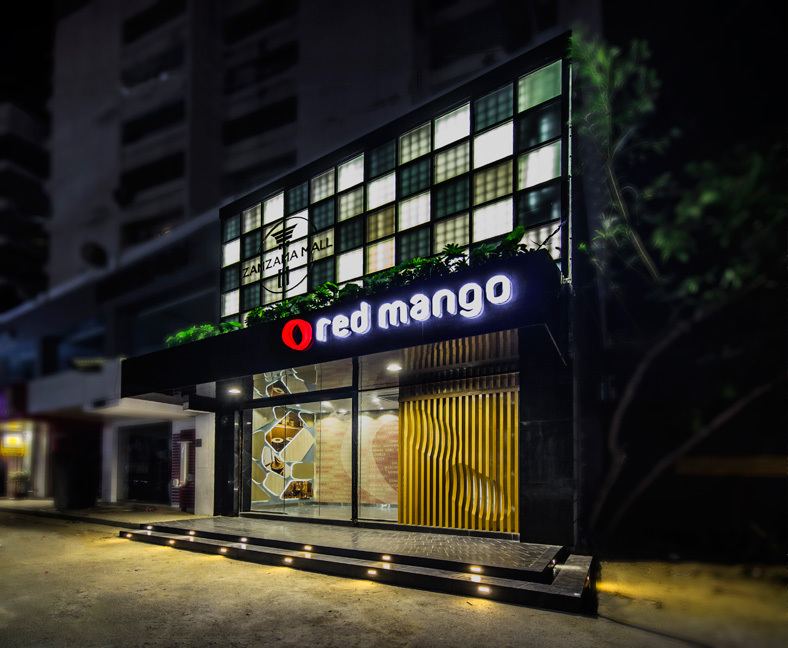 Red Mango is a Korean Frozen Yogurt chain with their local outlet in Zamzama, Karachi. 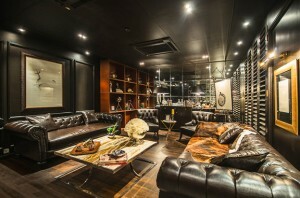 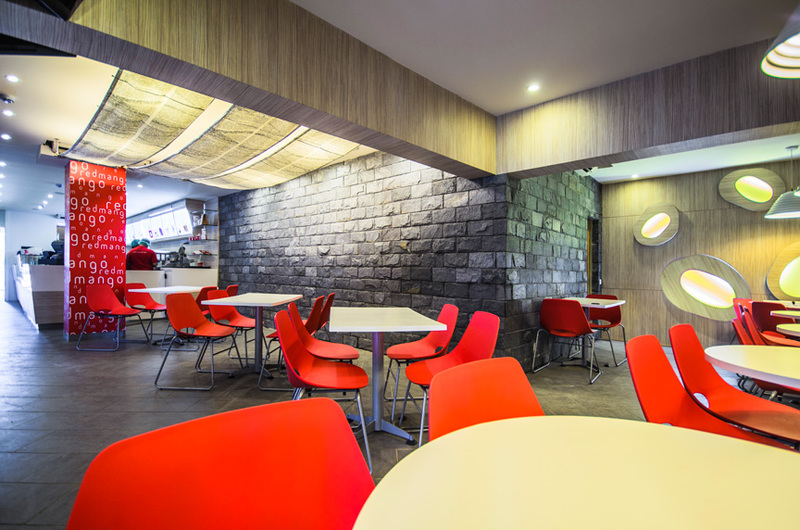 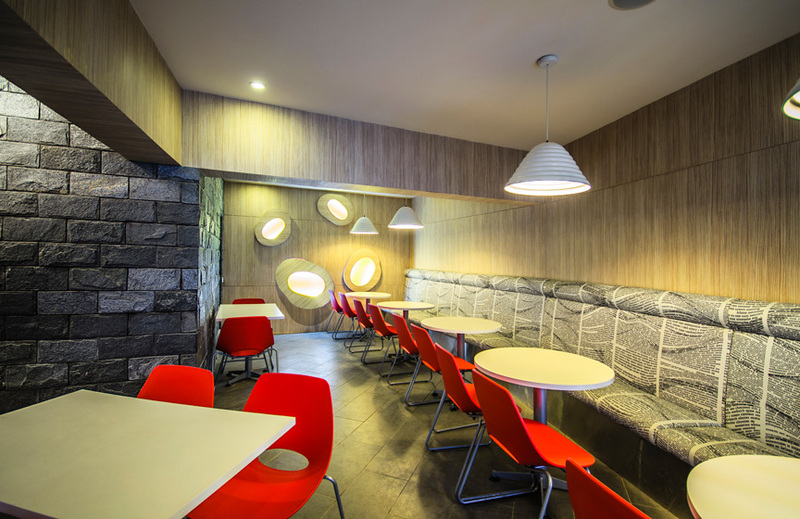 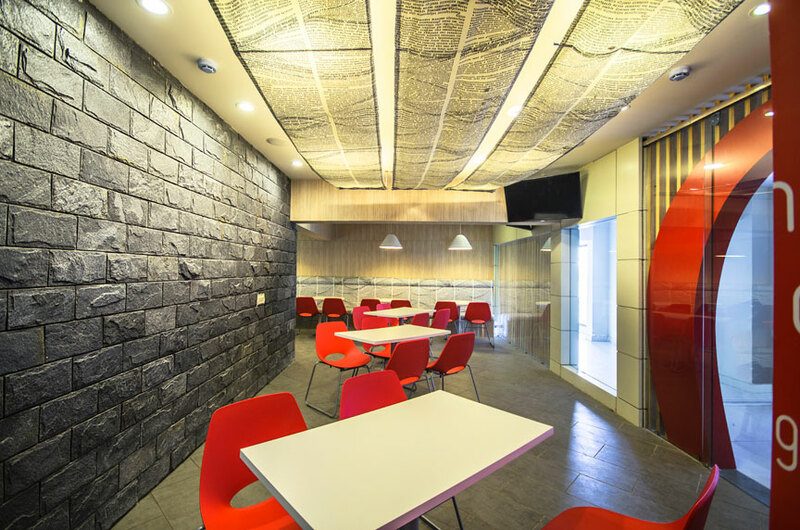 Using an International design language, Red Mango Zamzama has been designed by infusing their design elements collaged in a unique way. 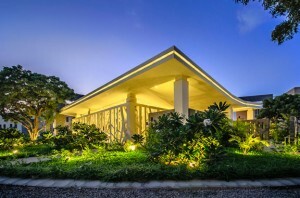 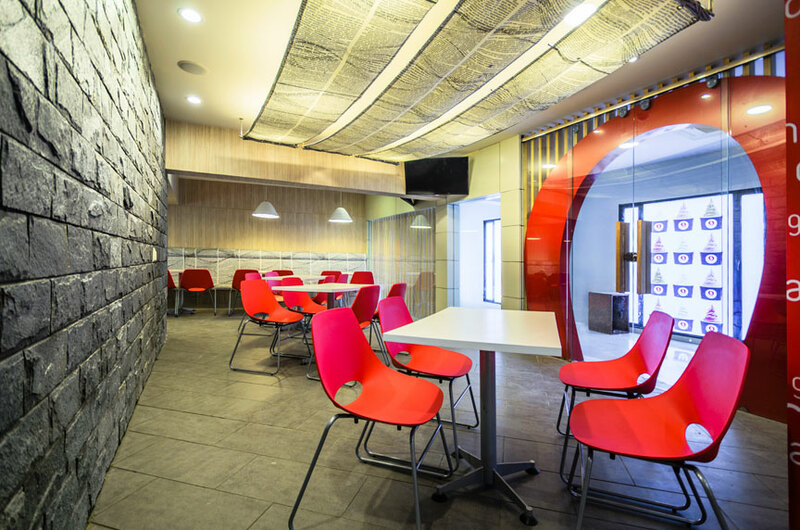 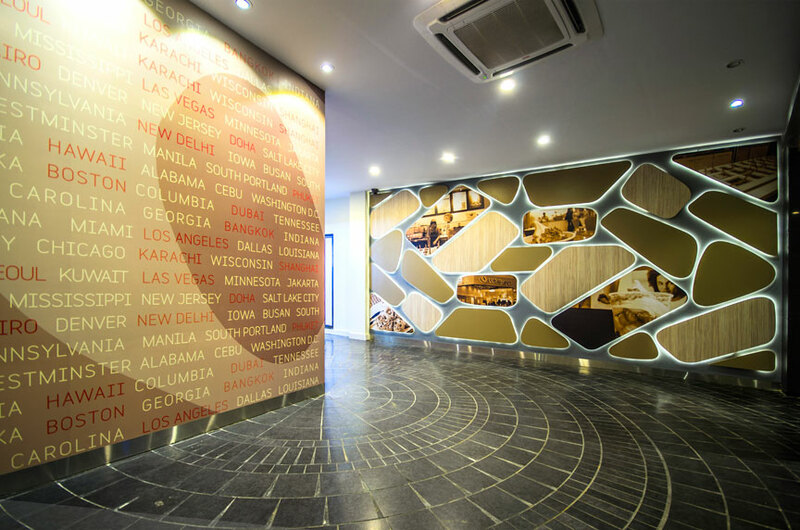 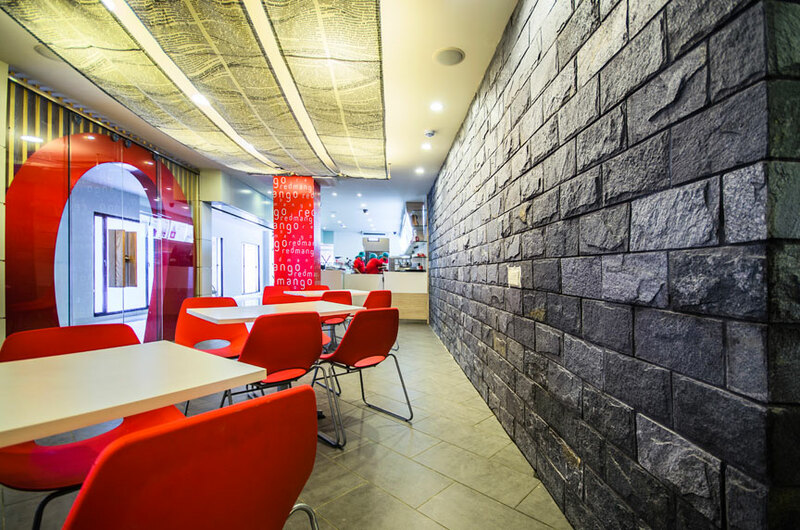 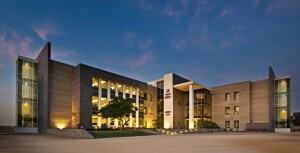 With a coordinated color scheme and materiality, the entrance sequence has been evolved using backlit wall panels and the clever use of the Red Mango emblem as an entry feature.